Situated in a beautiful and idyllic part of Wolfscote Dale, Dove Cottage is a Victorian 3 bedroomed self-catering fishing lodge, recently refurbished to a high standard. 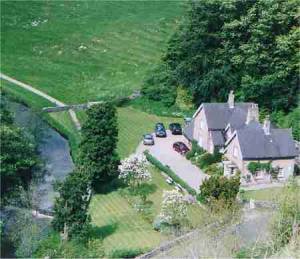 The cottage enjoys stunning views along the River Dove, and also has the benefit of a large well kept garden. This exclusive 2 ¾ mile stretch of fishing on the renowned River Dove provides a beautiful and challenging setting for catching some of the finest wild and stocked brown trout in the country. Lying in the heart of the White Peak Area of the Peak National Park, 6 miles north of the market town of Ashbourne, Dove Cottage affords easy access to a wide variety of activities. These may be enjoyed by the country lover, the walker, the avid explorer, the heritage buff and the bargain hunter. 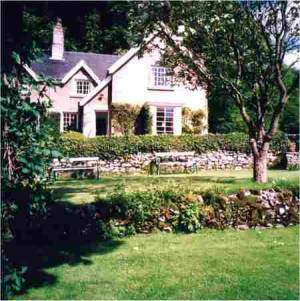 Set in the unique hamlet of Lode Mill, Dove Cottage is ¾ mile from the pretty hamlet of Milldale, and a mile from Alstonefield. This small, well preserved village, which dates back to pre-Norman times, offers a traditional and friendly pub with excellent home cooked food, and a local artist’s gallery. 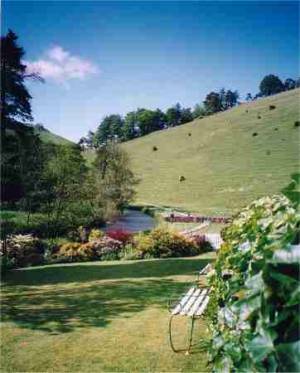 There is also the world renowned Isaac Walton Hotel and Restaurant, 5 miles away in the village of Ilam. 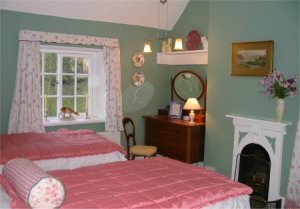 Dove Cottage can accommodate up to 5 people in 3 bedrooms (two twin, one single, all with basins). There is a comfortable sitting room, enjoying views over the garden and river. The entrance hall leads into the dining room, with the kitchen, utilities and drying facilities beyond. Also on the ground floor is a charming family bathroom. We provide all the basic necessities, so that you can have a home from home in which to relax. • Storage facilities designed with the angler and walker in mind. • Everhot aga type cooker, microwave, washing machine, dishwasher, fridge/freezer. We regret there is no smoking in the cottage. To see more images of the interior of Dove Cottage please click here. Also, why not read the comments made by our many satisfied visitors. From Ashbourne, travel North on the A515 for approximately 5 miles. 1 mile after Tissington, take the left turn signed to Alstonefield. Follow the road down the steep hill and just before the bridge is a white gate to Dove Cottage. The cottage is the first one on your right. Please see booking form for further details and tariff.